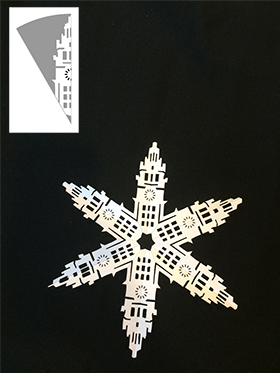 Download and share our Wonderland Express Chicago landmark snowflake patterns featuring some of Chicago's most iconic buildings and landmarks (see the 80+ miniatures at Wonderland Express). 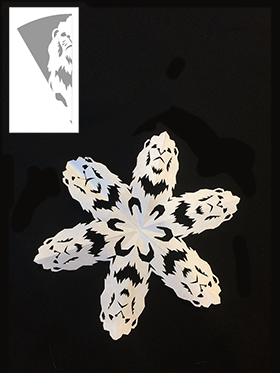 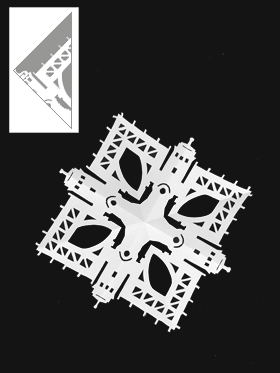 For fantastic snowflakes, fold crisply—the sharper the crease, the better. 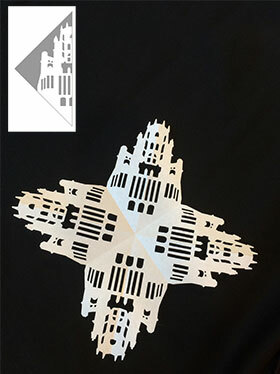 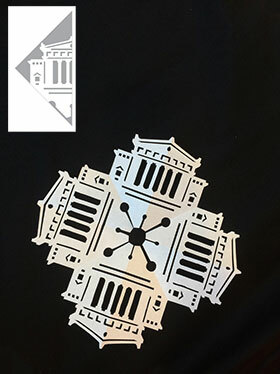 The templates are full of tiny, architectural details—cut with your sharpest X-Acto® blade. 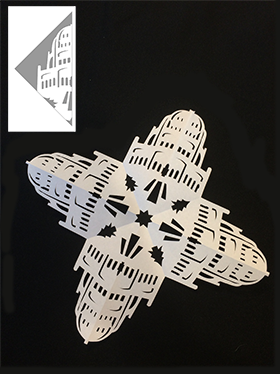 Do not use scissors! 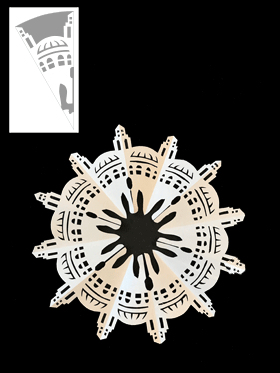 *Wonderland Express will close early on select days in December.